DIY Candle Making - How to make candles for any & all occasions? 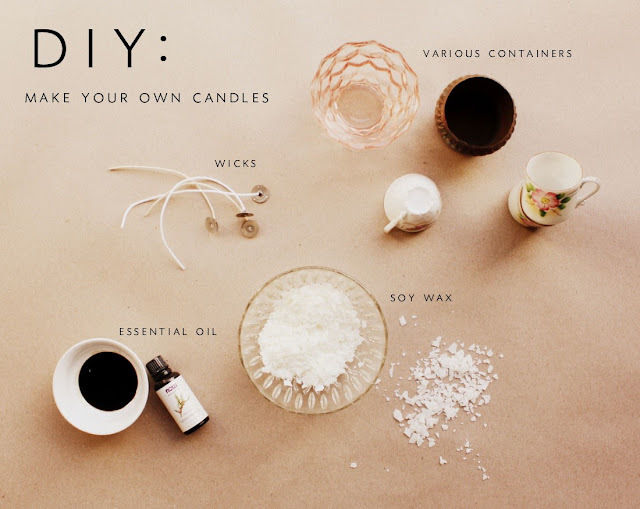 DIY Candle Making: How to make candles for any & all occasions? Candles used to be an everyday necessity of life, not more than a century ago but now they are more of ornamentation. Even so, you cannot deny the romantic and nostalgic charm of the candles. 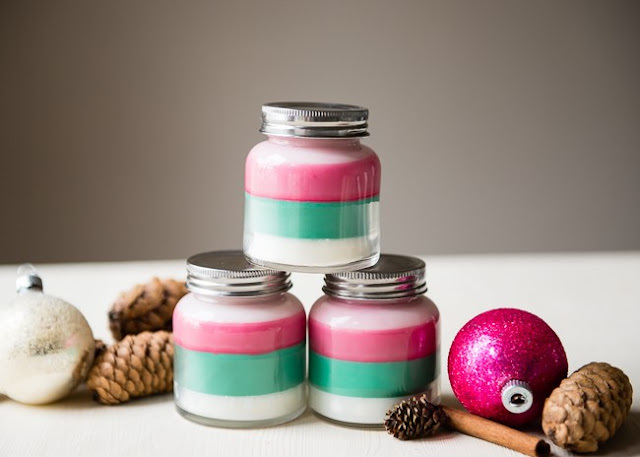 The scented candles also have a calming effect and have medicinal healing properties of a minor degree which makes them a must-have of every household. What’s’ more? These candles also make always appreciated gifts from friends, families, and colleagues. They are cost effective and can be given to both intimate friends and mere acquaintances without any worries. 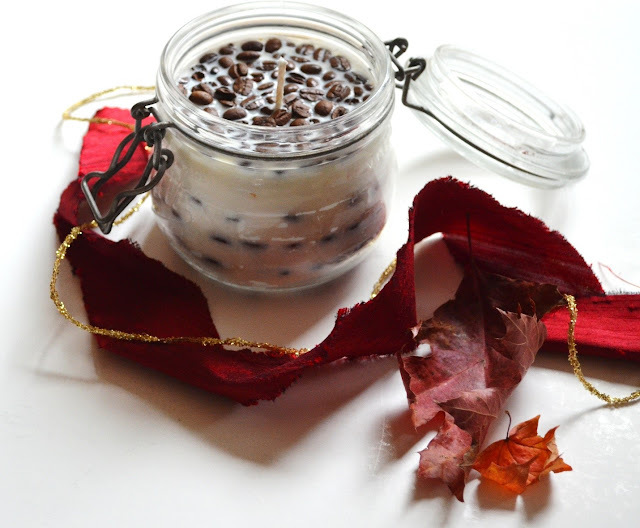 You can save even more on these gifts by following these DIY candle making and revamping recipes. 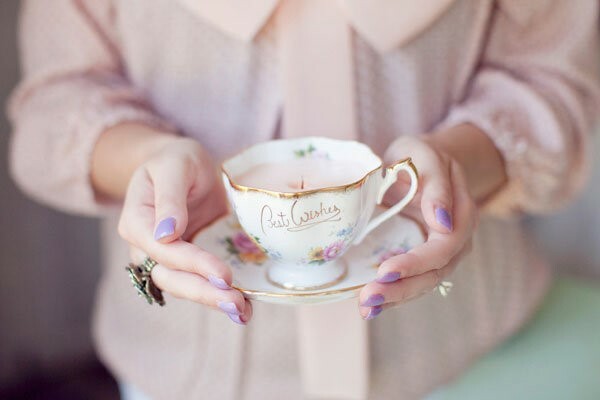 Plant a wick inside any vintage porcelain cup you deem is the best, and hold the wick straight by rolling it around a pen or by clipping it with a clothespin. Melt the candle wax in a boiling water bath. You can purchase any wax type (palm, soy, beeswax, paraffin). Or you can gather all the old ones in your home and melt them by suspending the container in hot water. When the wax is melted, add essential oils and food coloring (optional). Pour the mix carefully into the teacup and let it sit. When solidified, remove the excessive wick and gift wrap it with ribbons to present it. Fix a wick in a mason glass jar and hold it straight. Heat up the soy wax. When it’s completely melted, add your favorite scented oil and stir. Pour the candle mix into the Mason jar and let it sit until hardens. Remove the excessive wick and crafted a label to separate various scents. Microwave wax until melted. Take an old eye shadow pallet or a broken one and add it to the melted wax. Pour it into the container and let it settle. You can also use alternate shades to make a more beautiful mix. The subtle makeup glitter will make your candle more beautiful. 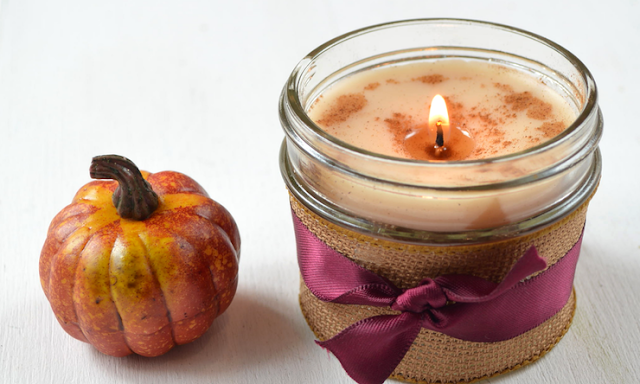 These candles will make your room smell delicious and soothe your nerves. You should try it in winters and you can also give them as Christmas presents. What you will need to do is follow the same procedure as other candles. Melt the wax until it becomes transparent. Now take a jar and fix the wick at the bottom and hold it in place with any pen or clipper. Pour a small amount the liquid candle in it and put a few coffee beans in it. They will immediately start to layer on top. You can use powdered coffee as well. Wait until this layer solidifies, now pour the second layer, put in the coffee and wait again. Keep repeating until the jar is full and you have an amazing coffee candle. Repeat the standard candle making process. Heat the wax chips and have a mason jar fixed with a ready wick. Now when it’s time to put in essential oil, use pumpkin spice fragrant oil or simply add pumpkin spice. Add an orange crayon for color. Pour the mixture into the jar and let it settle. It’s that simple and… Happy Thanksgiving! Why make them? Perhaps because they look AMAZING. 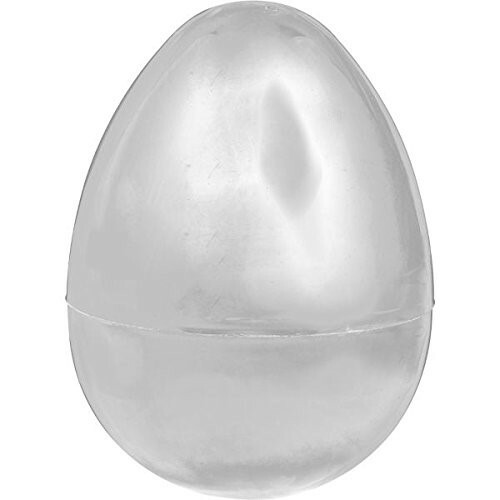 You can use them as Easter gifts but they look cool all year around. They also make the perfect present for your GOT fan freaks. Melt the candle wax. You will need a larger quantity than an average candle. Melt it and put in crayons of dark colors or add candle dye. Now split the egg and fix the wick in bottom part. Hold it steady and fill the bottom with candle mixture. When it solidifies you can place a ceramic baby dragon on it for a dramatic flair. Drill a hole in top half and fix it with the bottom part. Pull the wick out of this hole and pour in the candle through the same hole. Leave the candle till it becomes solid set. Now remove the mold and carve a scaly pattern on the candle surface to give it dragon egg pattern. 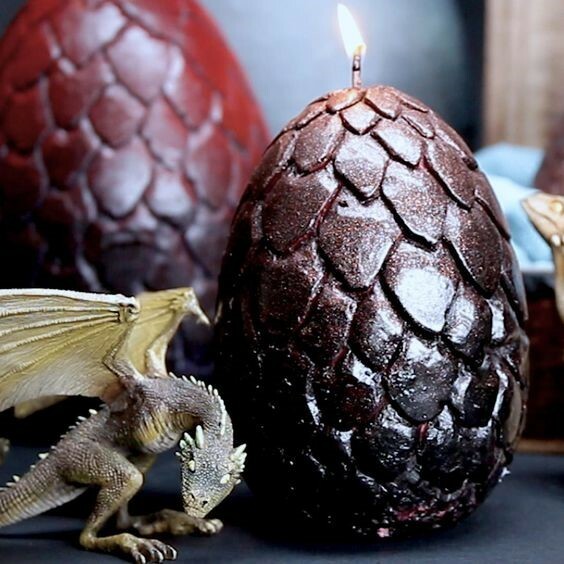 Use non-flammable spray paint to cover the surface and voila; you have a dragon egg candle. Take a plain pillar candle. Melt the wax in another container and add a dark crayon in it. When the color is mixed well, dip the pillar candle in it and hold it for a few seconds. Place it on a parchment paper and then repeat the process. But this time dip it shallower than the top layer to create a varying shade impression. That’s all, your brand new artistic candle is all set. Conclusion: So you have learned all the various exciting ideas for your next candle making project. You will now be able to discern what I meant when I said that candles can be both an intimate and a formal present, depending on the sender and the occasion. Once you have mastered the art of candle making, then comes the presentation of these candles. Surely you would like to present them in the same way as you are feeling. OXO Packaging can recreate your themes, feelings and seasonal feelings in custom candle boxes. These custom candle boxes will accommodate any type of shape of candles and keep them secure with style until the recipients open and use them. OXO Packaging experts know how to expertly create custom candle boxes in die-cut, window, corrugated and cardboard design and print them with high-quality inks for grand first impressions.